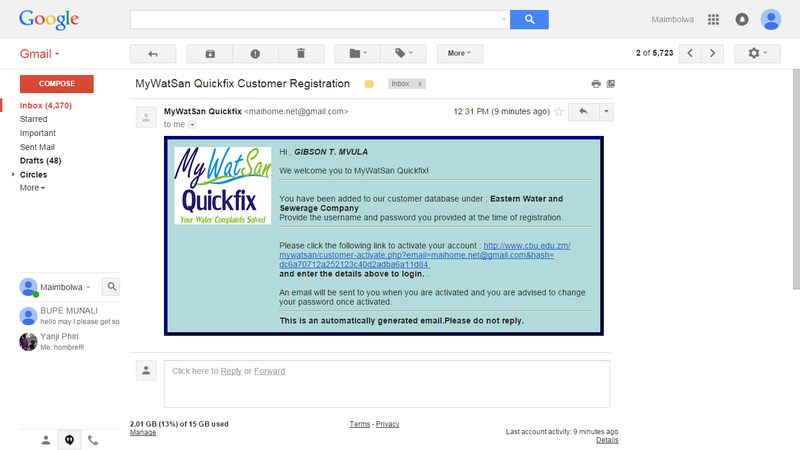 Customers must first register via the platform by clicking the Register link. 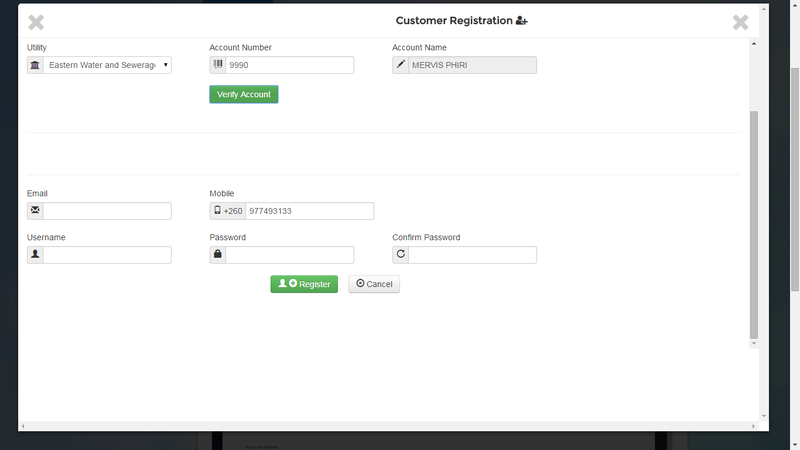 The register modal window will appear and customers are required to provide relevant details. 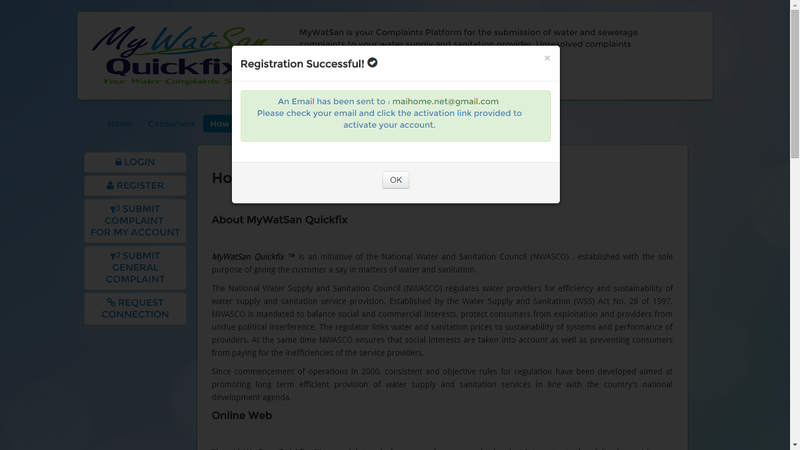 When registered an activation email will be sent to the mailbox provided by the customer and customers must activate their account by following the link sent to your email. 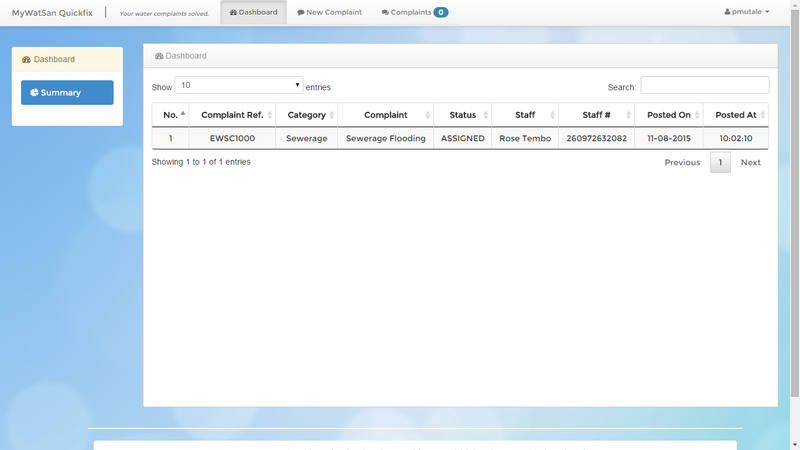 After activation, customers can login and will be presented with options to submit and view complaints in their portal. 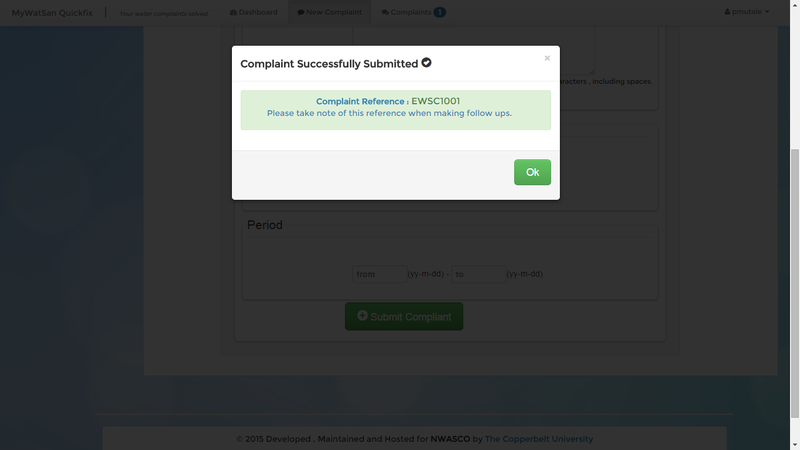 Customers can submit complaints by providing information about the complaint type and details of complaint. 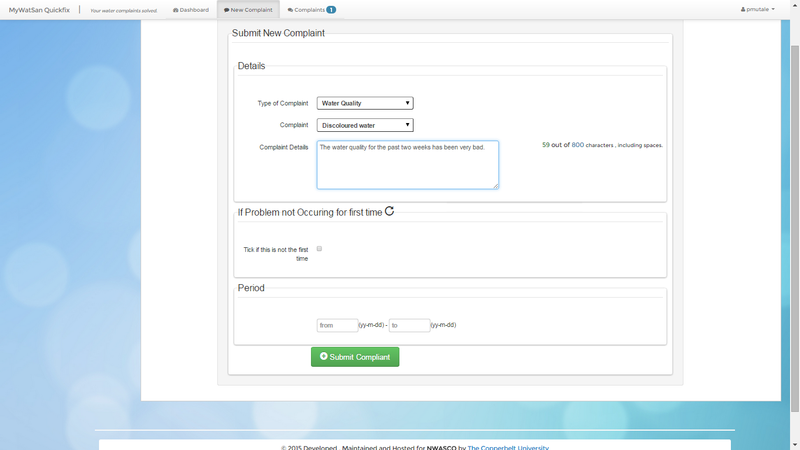 After posting a complaint reference is generated for the complaint and a confiramtion SMS will be sent to the customer's mobile to confirm that the commericial utility has recieved the complaint.